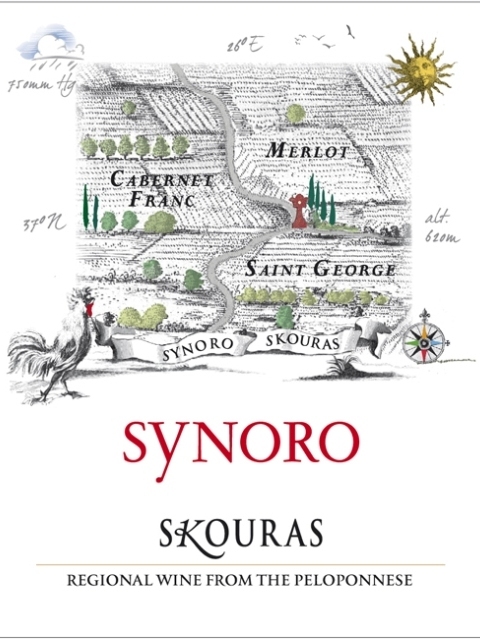 Domaine Skouras Synoro is a unique inspiration by Giorgos Skouras, who envisioned creating a vineyard where three varieties would coexist: French varieties Cabernet Franc and Merlot from Bordeaux and Greek Agiorgitiko from Nemea. 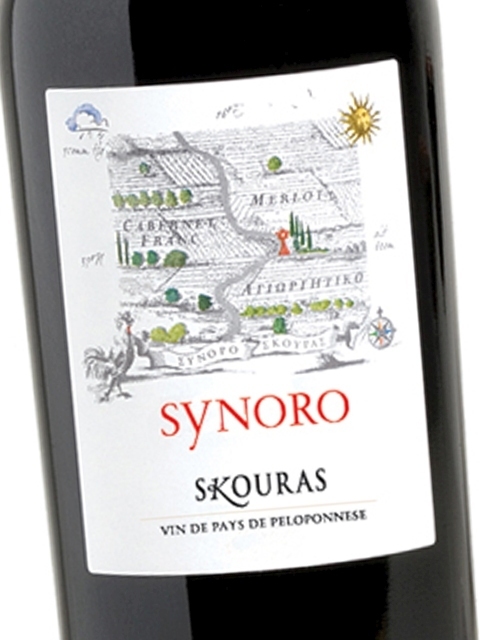 This vineyard was Giorgos Skouras’ journey into the realm of the unknown, as this varietal composition is not found in any other wine in the world. 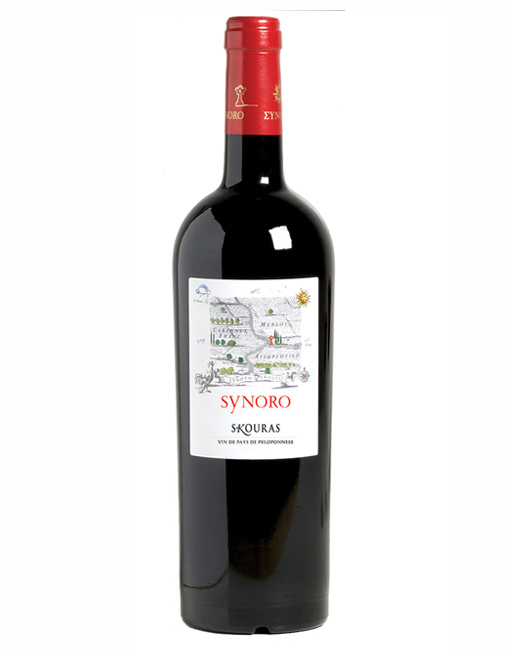 The experiment was successful and we are delighted to present a unique wine from the 2008 harvest, its fourth year in circulation. 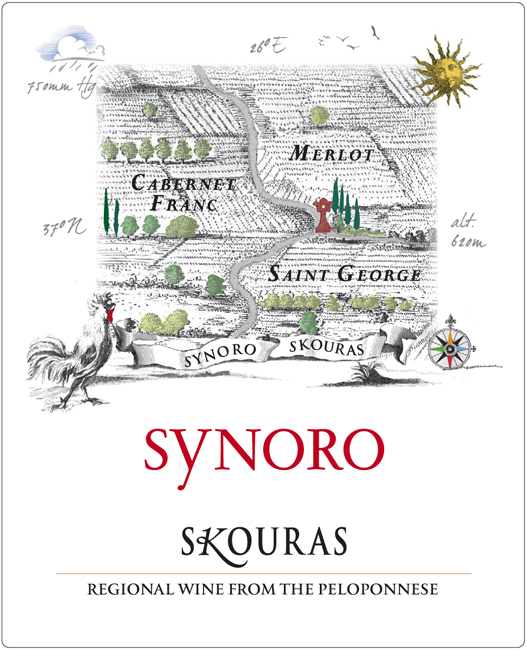 Cabernet Franc adds unique aromas of red fruit, ink and herbs, Merlot makes it round and the exquisite Agiorgitiko provides an unforgettable acidity. 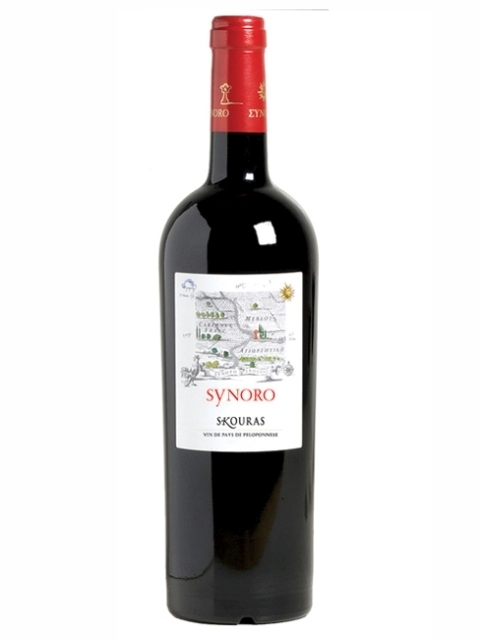 With its distinct acidity, tannins, alcohol and body, this elegant wine is recommended for pairing with rich meat dishes, cooked in the casserole or in the oven, as well as with grilled fillets. Clean, medium intensity, with aroma characteristics reminiscent of blackberries, plum, strawberry, sour cherry, wet leaves, cocoa, chocolate, black pepper and tobacco. Dry, medium (+) acidity, medium (+) tannins, medium (+) alcohol, medium (+) body. Medium (+) flavor intensity with flavor characteristics reminiscent of red currant, plum, black cherry, forest fruits, cocoa, vanilla, chocolate, dry nuts, wet leaves, mint, spices and quince jam. Medium (+) finish.